Britain and Australia celebrated victory in team pursuit events as the International Cycling Union Track World Cup in Berlin. Team pursuit and team sprint competitions took place on the opening day of the World Cup at the German capital’s Velodrome. 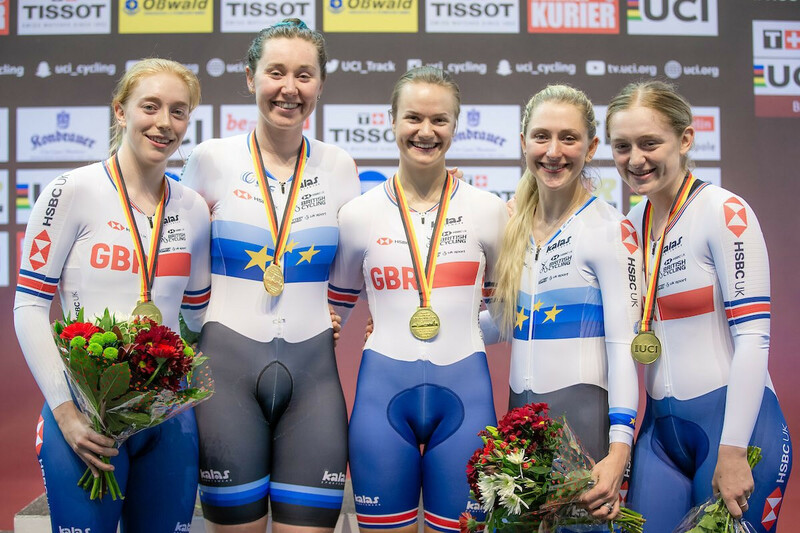 The women’s team pursuit competition saw Britain and Australia emerge through qualification and the first round to book their places in the gold medal ride. Olympic champions Britain trailed their rivals during the opening 3,000 metres of the final before their team of Katie Archibald, Laura Kenny, Emily Nelson and Emily Kay took the lead in the closing kilometre. The quartet claimed victory in a time of 4min 16.153sec, with Australia’s Annette Edmondson, Ashlee Ankudinoff, Amy Cure and Georgia Baker finishing second in 4:16.413. Canada woon the bronze medal ride in convincing fashion after they lapped Italy to round off the podium places. While Australia settled for silver in the women’s event, their men’s squad claimed an impressive gold medal. The world record holders faced the challenge of Denmark in the gold medal final, easing to victory as their team of Sam Welsford, Kelland O'Brien, Alexander Porter and Leigh Howard clocked 3:51.210. Denmark ended over three second adrift of the winner’s time, finishing in 3:54.703. Canada secured their second team pursuit bronze medal of the day , their team ending in 3:56.339, beating trade team Huub Wattbike to complete the podium. Hosts Germany were denied gold in the women’s team sprint competition as Miriam Welte and Emma Hinze were beaten by Russia’s Daria Shmeleva and Anastasiia Voinova. Shmeleva and Voinova, riding for trade team Gazprom-Rusvelo, triumphed in a time of 32.633sec. The home favourites Welte and Hinze would clock 32.922. China’s Lin Junhong and Zhong Tianshi won the bronze medal race in 33.336, with Dutch duo Kyra Lamberink and Elis Lightlee missing out. The Netherlands enjoyed sprint success in the men’s competition as Nils van Theonderdaal, Harrie Lavreysen and Jeffrey Hoogland powered to the gold medal in the final. The trio combined to achieve a winning time of 42.467, with Britain’s Ryan Owens, Phillip Hindes and Jason Kenny second in 42.981. The bronze medal was secured by Germany’s Timo Bichler, Stefan Botticher and Joachim Eiler in 43.788. The World Cup is due to continue tomorrow, with Germany’s Kristina Vogel set to attend a major track cycling meet for the first time since a training accident that left her paralysed. Vogel revealed in September she can no longer walk after suffering a serious spinal injury as a result of the accident in June, when she was involved in a high-speed collision with another cyclist at the Cottbus Velodrome. The two-time Olympic champion has been undergoing rehabilitation in Berlin.